This is my favorite yarn for slightly heavier socks. It’s great for hats, scarves, and sweaters too. The stitch definition on this yarn is perfect. Pixie is a superwash yarn with a soft hand and beautiful, soft colors. It’s the ultimate workhorse, superwash yarn. And, it’s American milled. 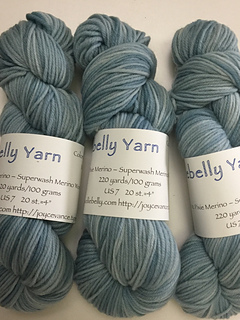 Please note - some earlier skeins may be labeled 270 yards. This is my error. It is actually 220 - this is a worsted weight yarn.